Jaume Plensa est un sculpteur contemporain catalan de renommée internationale né en 1955 à Barcelone en Espagne. Jaume Plensa a fait ses études d’art à Barcelone, à l’école de la Llotja, puis travaillé à la fondation Henry Moore et à l’atelier à Saché. Après une formation classique, travaillant le bronze, la fonte et le fer forgé, il incorpore dans ses travaux différents objets, dont des objets de récupération, avant de revenir par la suite à une technique bien plus classique. Il abandonne ensuite la figuration pour travailler uniquement sur les formes et les volumes, et introduit des matériaux ou dispositifs technologiques, principalement afin d’ajouter de la lumière ou des oppositions entre la transparence et l’opacité. Enfin, conservant cet acquis et ce savoir-faire, il abandonne l’abstraction et revient vers la figuration qu’il réintroduit peu à peu pour faire naître des jeux de sens avec les dispositifs lumineux qu’il a choisis. Born in 1955 in Barcelona, where he studied at the Llotja School of Art and Design and at the Sant Jordi School of Fine Art. He has been a teacher at the École nationale supérieure des Beaux-Arts in Paris and regularly cooperates with the School of the Art Institute of Chicago as a guest professor. He has also given many lectures and courses at other universities, museums and cultural institutions around the world. 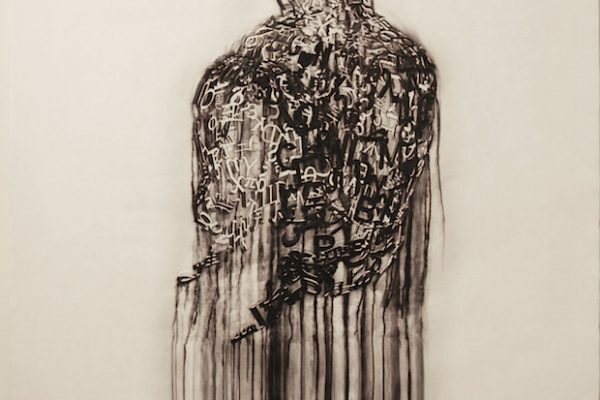 Jaume Plensa has received numerous national and international distinctions, including the Medaille de Chevalier des Arts et des Lettres, awarded by the French Ministry of Culture, in 1993, and the Government of Catalonia’s National Prize for Fine Art in 1997. In 2005, he was invested Doctor Honoris Causa by the School of the Art Institute of Chicago. In Spain, he received the National Prize for Fine Art in 2012 and the prestigious Velázquez Prize for the Arts in 2013. Plensa regularly shows his work at galleries and museums in Europe, the United States and Asia. The landmark exhibitions in his career include one organised at the Fundació Joan Miró in Barcelona in 1996, which travelled to the Galerie nationale du Jeu de Paume in Paris and the Malmö Konsthall in Malmö (Sweden) the following year. In Germany, several museums have staged exhibitions of his work. These include Love Sounds at the Kestner Gesellschaft in Hannover in 1999 and the recent The Secret Heart, which was shown at three museums in the city of Augsburg in 2014. In Madrid, Plensa received particular acclaim for the exhibition Chaos-Saliva, which opened in 2000 at the Palacio de Velázquez – Museo Nacional Centro de Arte Reina Sofía. In the United States, where Plensa has worked and exhibited for nearly three decades, his works have been shown at many art galleries and museums. Amongst his most outstanding exhibitions was that organised at the Nasher Sculpture Center in Dallas. In 2011, a large selection of Plensa’s sculptures, both interior – shown in the exhibition rooms – and large works – installed in the gardens – were exhibited at the Yorkshire Sculpture Park in West Bretton, England. Thanks to this exhibition, the site received national recognition as “Most Magnificent Attraction” in 2011. To date, this has been one of the most complete shows ever devoted to the work of Jaume Plensa. The Crown Fountain, which was unveiled in Chicago’s Millennium Park in 2004, is one of Plensa’s largest projects and, without doubt, one of the most brilliant. The work led to many commissions, adding to the list of works by Jaume Plensa in public spaces, right up to the most recent, Roots (2014), installed in the Toranomon district in Tokyo. Defender of the graphic art work from the beginning, he did many exhibitions dedicated to graphic arts and editions. Highlighting the retrospectives at the Musée des Beaux Arts de Caen (France) and the Centre de la Gravure et de l’Image imprimée La Louviere (Belgium) in 2006. In 2013 he received the National Graphic Arts Award granted by the Calcografía Nacional in Madrid. From 1996 to 2008 he collaborated on many projects for theater and opera, especially with the company La Fura dels Baus, working the concept and designing sets and costumes. Jaume Plensa’s work can be seen regularly at the Galerie Lelong in Paris at Galerie Lelong in New York, and the Richard Gray Gallery in Chicago and New York.